Link: Amazon Lab-on-a-chip technology permits us to make many important discoveries that can only be observed at the microscale or the nanoscale. Using this technology, biological and biochemical analyses translate into greater sensitivity, more accurate results, and more valuable findings. 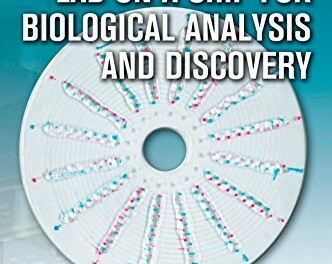 Authored by one of the field’s pioneering researchers, Fundamentals of Microfluidics and Lab on a Chip for Biological Analysis and Discovery focuses on all key aspects of microfluidic lab-on-a-chip technologies to offer an exceptionally cohesive overview of the science, its limitations, breakthroughs made over the years, and currently emerging advances.